Serendipity sometimes happens as you research. Serendipity means the discovery of something beneficial or wonderful that happens out of the blue. Serendipity sometimes happens as you research. Serendipity means the discovery of something beneficial or wonderful that happens out of the blue. 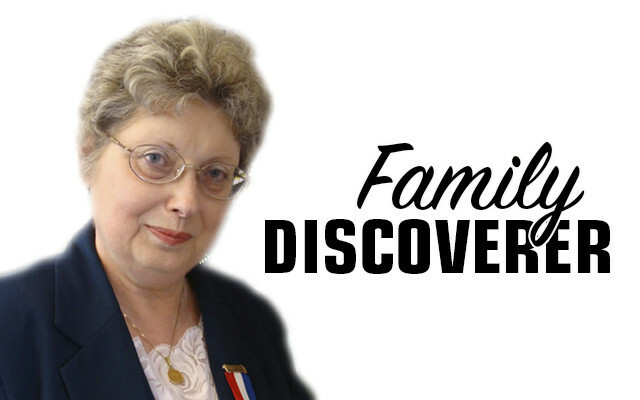 This leads to the question, are you a lucky genealogist? I know several who are and I confess to envy and frustration when I hear of their moments when luck opened doors for them. My friend Nina Brawn, who wrote the prize-winning column Family Searcher for this paper, swore to me that she once accidentally knocked a book off a shelf in the Maine State Library. She swears that when she picked it up she found it open to a page with information she’d been trying to find for some time on one of her family lines. My cousin Peter once grabbed the wrong microfilm at the State Archives and as it was approaching closing time he decided to skim through it on the wild chance of finding something of value. Sure enough he found records that broke down a brick wall the two of us had been trying to break through for years and revealed a divorce in the family. If these two examples don’t have you beating your head against the wall, my friend Kelly carries trash bags in her car to tidy cemeteries that are neglected. She recently came on one in a town with no connection to her family. She ended up at the foot of a stone in the back of the cemetery and there was a long-lost, many-times-grand uncle and his wife’s burial plot in a town she’d never known they had moved to. I have to admit these three examples make me want to grind my teeth in frustration. These genealogists have paid their dues with lots of hard work, but the chance findings seem to point to a charmed existence. I’m not a lucky genealogist. Everything I’ve learned about my family tree has come through long, hard, sometimes discouraging research, except when Peter shared his find on the family divorce, of course. If you’ve had one of those serendipitous moments, I congratulate you. If you’re like me and you listen to these types of stories with a silent growl, I can relate to your feelings of despair. “Why can’t these things happen to me?” you may well ask. to remember that even if lightning doesn’t strike in your genealogy research, hard work does pay off eventually. Don’t give up — and be sure to smile when you hear stories from a lucky genealogist, even if you have to clench your teeth to do it.